All Posts Tagged With: "Earth Day"
In honor of Earth Day, Kiehl’s Since 1851, the venerable New York-based purveyor of fine quality skin and hair care is pleased to announce a Limited Edition Label Art series, where 100% of net profits up to $200,000 will benefit the Rainforest Alliance, dedicated to conserving biodiversity and ensuring sustainable livelihoods. To commemorate the philanthropic success of “Friends of Kiehl’s” Earth Day 2009 – which raised $100,000 for WATERKEEPER ALLIANCE – the company is striving to double the donation by raising $200,000 for the Rainforest Alliance. To support the launch, celebrity photographer David LaChapelle captures each personality, Julianne Moore, Jeff Koons, Malia Jones, and Pharrell Williams in his/her unique style. Staying true to Kiehl’s longstanding mission of supporting initiatives to help preserve and protect the environment, four “Friends of Kiehl’s” have created Limited Edition labels for 100% natural and ECOCERT- certified organic, Açaí Damage-Protecting Toning Mist. 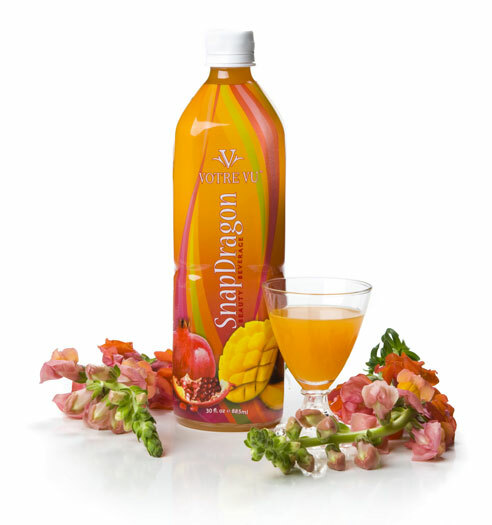 This Earth Day, celebrate the best that Mother Nature has to offer with this refreshing drink made with Votre Vu SnapDragon Beauty Beverage, a blend of antioxidant-rich fruit juices, teas, and good-for-you ingredients like aloe and drinkable collagen. Read on for the recipe: A Beautiful V-You! 2. Drop in some frozen raspberries in lieu of ice cubes. Serve to all ages! By now you’ve heard the buzz that Lancôme’s Juicy Tubes, the iconic lip gloss that kicked off the gloss frenzy, is turning 10. To celebrate this beauty birthday, Lancôme has launched Juicy Tubes 100% Natural Origin, a limited-edition collection with honey as its main ingredient. The formula, flavors and pigments are 100% natural origin and preservative-free. Yesterday, April 13th, 2010, Kelly Ripa teamed up with Electrolux, maker of eco-friendly, ENERGY STAR qualified appliances, to host her first-ever live Webcast in support of Earth Day and Global Green USA. As part of the exchange, known as the first-ever “Green Idea Swap,” Kelly took questions from a live Web audience with the help of three eco lifestyle experts: Josie Maran, creator of her own eco-friendly makeup line; Zem Joaquin, founder and CEO of Ecofabulous; and Anna Getty, green living and holistic lifestyle expert. 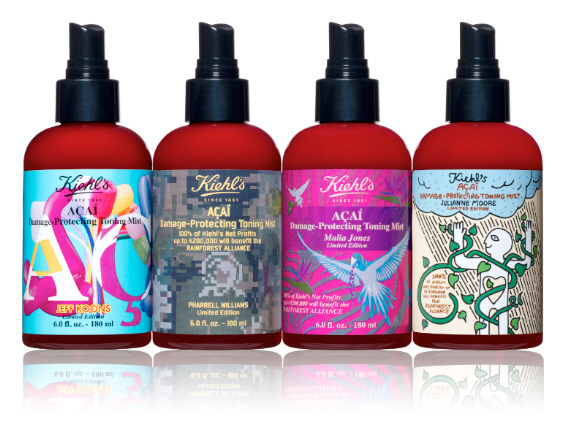 Kiehl’s introduces a Limited Edition Celeb-Designed Label Art Series for their Açaí Damage-Protecting Toning Mist to benefit the Rainforest Alliance just in time for Earth Day. Kiehl’s has long had a strong commitment to the environment—not only do they have an ongoing “Recycle and Be Rewarded” program in their free-standing stores, last year, they raised $100,000 for Waterkeeper Alliance in a charitable partnership with Adrian Grenier, Kelly Slater, Erykah Badu and Parsons The New School for Design. This year, in a new partnership, Kiehl’s collaborates with actress Julianne Moore, musician Pharrell Williams, artist Jeff Koons and pro-surfer Malia Jones to raise funds and awareness for the Rainforest Alliance, which is dedicated to sustaining biodiversity and ensuring sustainable livelihoods. This Earth Day, Wednesday April 22, Fresh is sharing the beauty with our Get More, Give More Earth Day special. Fresh has always been committed to using natural ingredients. They are an integral part of the efficacy of their products. They connect us to time-honored beauty rituals of the past, and they keep us at the forefront of innovation. In honor of Earth Day, Fresh is creating awareness around five of our most iconic, natural ingredients: meadowfoam seed oil, rose, soy, sugar, and Umbrian Clay. 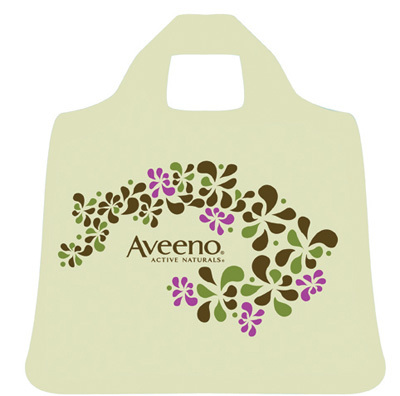 In celebration of Earth Day, AVEENO hosted a design contest with Fashion Institute of Technology students to create the print for a limited-edition, organic cotton AVEENO ENRIROSAX Bag. On Earth Day, April 22nd, the first 1,000 people to log-on to AVEENO.COM/JUBILANCE at 12:00 PM (Eastern Time) will receive the winning bag plus a sample of the new AVEENO NOURISH+ Hair Care Collection. These eco-chic bags, designed by up-and-coming designer Jeff Tsui, will never be sold in stores and they benefit a great cause! For every bag given away, AVEENO will make a $10 donation to Global Green USA, which supports the fight against global climate change and the creation of green buildings and cities within the United States.